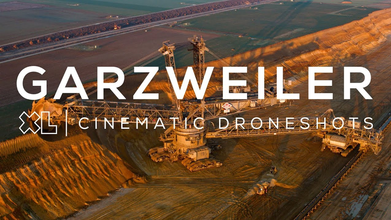 Description: Garzweiler is a German mine where brown coal is extracted in opencast. The name refers to the village of the same name in the municipality of Jüchen that has disappeared by the expansion of the mind. In total 20 villages will be demolished. Garzweiler I is located east of the A44 and covers 66km². Garzweiler II is located west of the A44 and covers 48 km².